Water temps are still pretty warm. 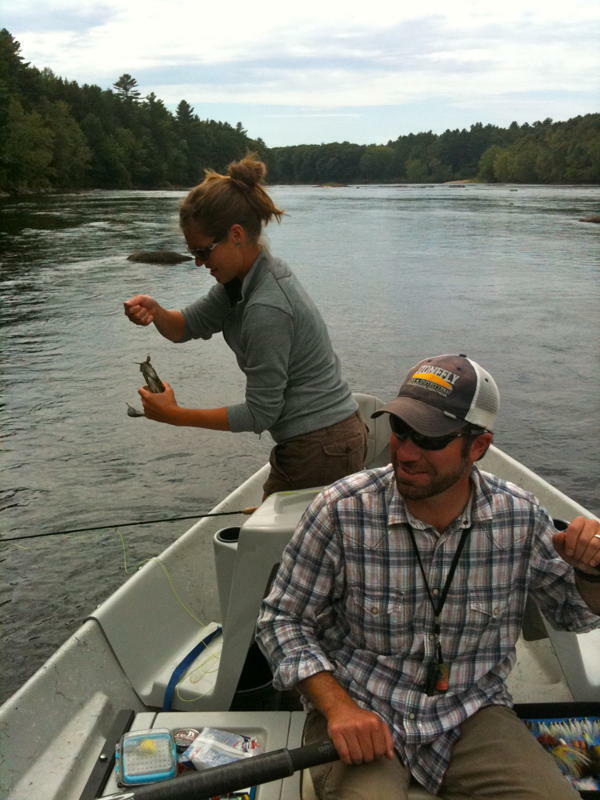 The Kennebec at Madison was still hovering in the mid 70's as of a few days ago and surprisingly Bingham was no better. Hatches have been sporadic with spinners in the evening and a few caddis here and there, but nothing to get real excited about yet. At this point, everybody is holding their breath waiting for blue wings to kick off. This cool weather is sweet relief, and it shouldn't be long. Start watching for water temps that drop back into the 60's and you will know it's time. With cool nights and mild days ahead, the much anticipated fall conditions should not be far away. For the time being we have been staying "green"- fishing for smallies, which, unlike their fairer cousins are much happier to eat when water temps are above room temperature. I got to take the "House of Hardy" girls out for a warm up session to shake out some cobwebs in preparation for the Upper Andro 2 Fly. 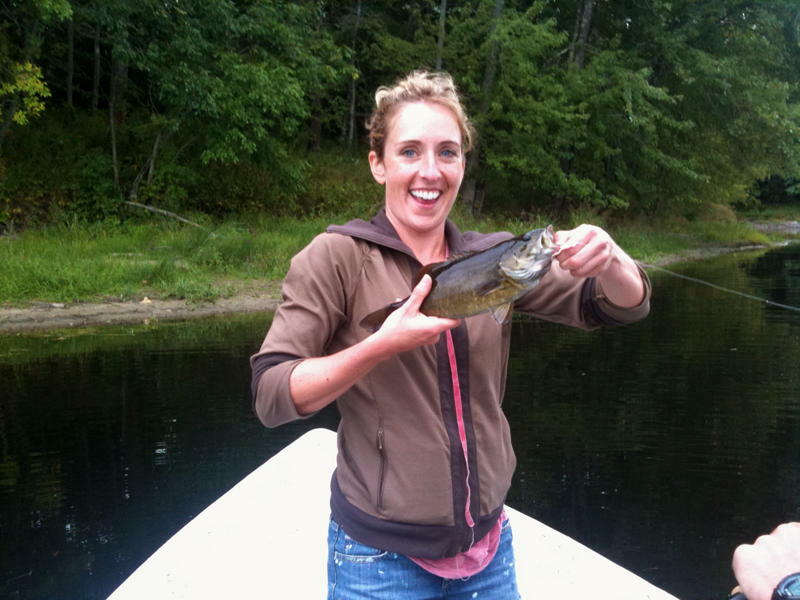 The ladies are competing in an all girls boat sponsored by British rod and reel maker House of Hardy. Watch out boys- these girls are good, and when it comes time to hook some fish- they are all business.